With the conclusion of his three-nation tour of China, Mongolia and South Korea last month, Prime Minister Narendra Modi capped a frenetic first year of diplomacy. It is becoming apparent that the emphasis on the Asian region will continue to be an imperative for the rest of his term. In this past year alone, the Indian Prime Minister has invested about twice as many days visiting the ‘east’ — Asia, the Indian Ocean Region and the Pacific — as against his ‘westward’ travels. 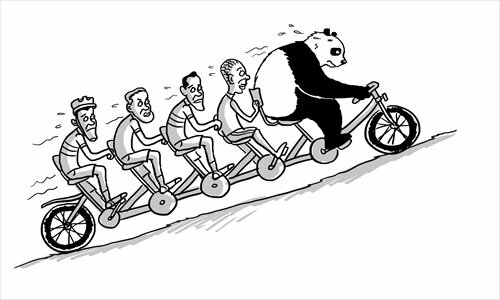 Is this a reinvigoration of India’s Look East policy? Does it mean relatively less importance to the West? And, what are the drivers of this policy? Barring the notable absence of West Asia from his travel schedule, it is clear that ‘Engage Asia’ has been the predominant mantra of Modi’s early days in office. This Asian focus is decidedly different from previous efforts by Indian leaders to integrate with the neighbourhood. Those efforts were driven by the idea of demonstrating Indian leadership in a particular geography, or they were manifestations of south-south solidarity, or they were necessitated by security concerns emanating from across the border. The current effort is something more. It is primarily aimed at completing two specific national projects, while at the same time positioning India at the helm of global affairs. The first national project is to complete ’20th century India’: future-proofing Indian infrastructure; installing enough energy to power the nation; connecting the country with its periphery and beyond via roads, rail, ports and airports; developing manufacturing bases to employ the millions entering the job market each year; and investing in housing, agrarian and other social infrastructure that most developed economies take for granted. Modi’s Asian thrust is designed to find partnerships, technology and funds to complete this 20th century project. The Atlantic countries do not have the financial capacity to invest in large infrastructure and energy projects. They do not have the political room to commit to carbon-intensive industrialisation. And they no longer have the wherewithal to offer 20th century inputs (equipment, energy and technology) for an insatiable India. All of these are readily available to the east of India. Consider this: China, Japan and Korea between them have close to US$5.5 trillion in foreign exchange reserves, funds desperately needed for this 20th century project. There is a coincidence of needs as well. Each of these economies needs to invest in new geographies. They need to generate wealth out of what are now stagnant reserves. These are countries that have successfully completed their industrialisation projects and need to find outlets for investment in the industrialisation of others. That’s why China has become the biggest provider of energy-generation equipment to India and wants to build high-speed trains here. It is why South Korea wants to build nuclear reactors and ports in India. And it is why the Japanese want to set up industrial corridors in India. Asia is also the source of most of the energy needs that are indispensable to this national project. Be it gas, uranium, coal variously sourced from Australia, Mongolia, Central Asia and the Middle East, this region offers India plenty of energy opportunities. When Modi travels to these countries, it is tacit recognition that the response to Indian requirements carried forward from the last century reside there. Then there is India’s ’21st century project’, driven by innovation, based on new technologies, located within digital economies and fueled by enhanced human capacity. This is the service-sector paradigm that India is already experiencing, and for which India needs high end solutions at rock bottom prices. For example, most of the 6 million new internet users India adds each month operate on handheld devices priced around the US$50-100 range on connections priced at a fraction of a dollar. Here too it is Asian countries — China, Taiwan and South Korea — that dominate the market. The expansion of this market, which will happen in tandem with the Digital India, Make in India, Skilling India and Smart Cities initiatives, will only see the market dominance of these Asian countries increase. 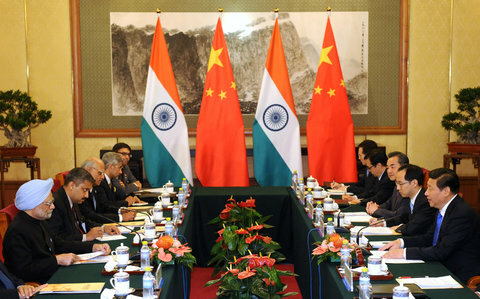 However, here is the poser: can India manage this Asian engagement while balancing an increasingly expansive China? This is the second element of the ‘Engage Asia’ mantra that Prime Minister Modi seeks to address. Most Asian economies have their largest partnership with China and will always be looking over their shoulder as they define new partnerships with others. 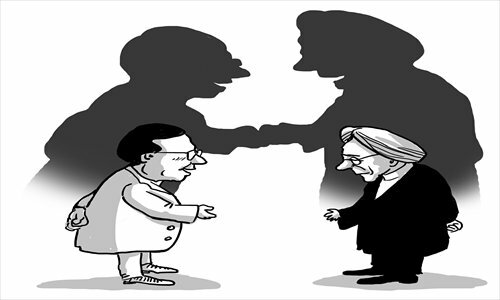 China’s soft expansionism is being driven by its economic weight and through its pursuit of creating new political and economic governance institutions, like the AIIB, that will offer it a new dimension of power. 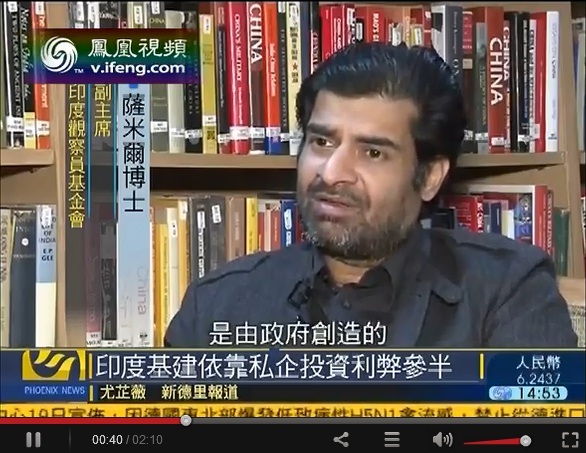 Its One Belt, One Road project seeks to redefine and recreate Asia’s geography. 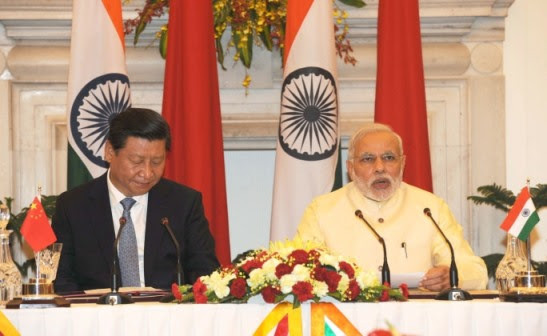 In India’s sense of its own role and position in global affairs, such Chinese dominance is unacceptable. 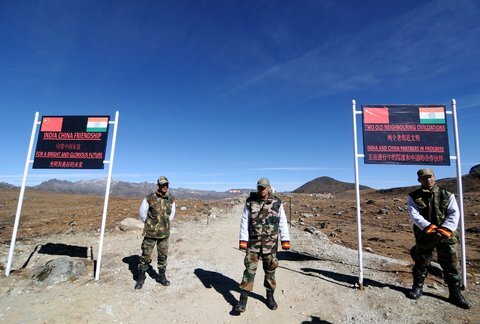 New Delhi’s running dispute over the 4000km border with China also complicates the bilateral relationship. 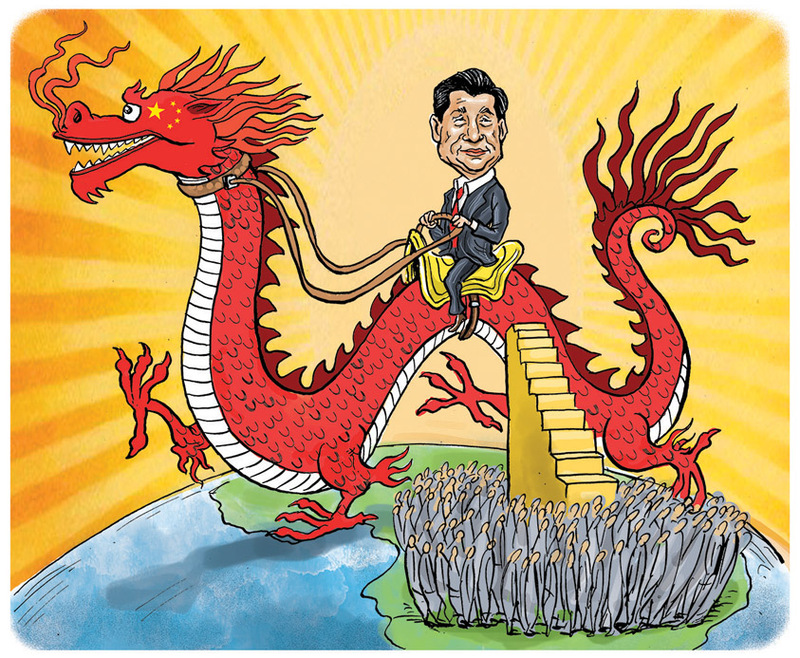 India’s existential dilemma for the 21st century, then, is to ‘stare down the dragon while embracing it’. This is where the US, a predominant Asian power, comes into play. It offers India two playing cards. First, it encourages others in Asia, such as South Korea and Japan, to participate in the India story in all sectors without the fear of China. In fact, this US gambit of midwifing Asian middle-power cooperation from arm’s length is a seminal arrangement for the ‘congagement‘ of China. Second, the unassailable US lead in security, defence and other high technology segments gives India a qualitative edge in its bilateral negotiations with China. When Prime Minister Modi landed in Mongolia and South Korea on his way back from China, he was signaling that he intends to challenge the narrative of the Asian century as being a Chinese century. He was signaling that he intends to break the Chinese stranglehold in the Asian imagination of its future. He was signaling that here is an India willing to live up to expectations and take its rightful place as a major Asian power. Put simply, he was embracing the dragon while staring it down at the same time. Photo by Flickr user Narendra Modi.